Nielsen has launched a syndicated solution called ‘Nielsen Subscription Video On Demand (SVOD) Content Ratings’, providing an independent measure for subscription-based streaming content. The firm began measuring streaming content in 2014 through an opt-in service. The new SVOD offer provides enhancement to Nielsen’s video on demand (VOD) Content Ratings framework, which uses demographics and household characteristic data from the firm’s National TV Panel. Through SVOD, subscribing clients will receive a view of their content’s total audience, regardless of where it was viewed, along with the ability to follow the full lifecycle of a program – from live to time-shifted viewing, to set-top-box video on-demand, and now SVOD. It will also provide measurement of programs at the season and episode level, in a manner comparable with linear television data. This includes ratings, reach, frequency and segmentation reporting so clients can understand where this content fits into the larger media ecosystem. 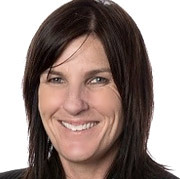 Megan Clarken (pictured), President of Nielsen’s Watch division, comments: ‘The significant growth of SVOD services in entertainment markets across the world has created demand from rights owners to understand the size and composition of audiences relative to other programs and platforms. The syndication of SVOD measurement represents a big step forward in terms of moving closer to transparency within the SVOD marketplace’. Netflix has responded quickly to this announcement: go to Erik Adams’ article at A.V. Club, Netflix says Nielsen’s data is inaccurate—so why doesn’t it release the numbers its damn self?